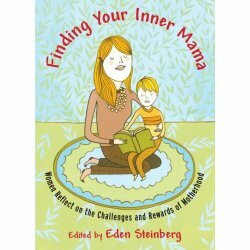 I received an early copy of the book, Finding Your Inner Mama: Women Reflect on the Challenges and Rewards of Motherhood, edited by Eden Steinberg, which is available this week. 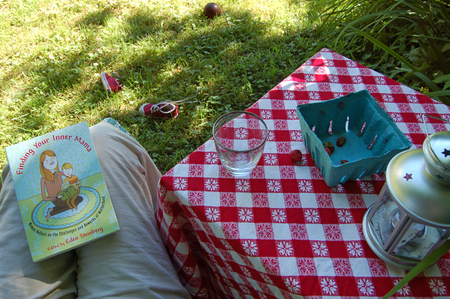 Beyond loving the cover by Susie Ghahremani (of Boy Girl Party), the book itself is pretty fabulous too. I'm not really a fan of the 'how to' parenting books. I've never found a whole lot helpful in those. I think it's that many of them focus on the 'act' of parenting and not the 'heart' of parenting. The action without heart just doesn't really work for me. The hard "work" of being a Mama (for me) doesn't come from the structure of our home or the discipline 'method' we use or any of those actions, but rather on the inner work that we do to be the kind of parent we want to be. And so the "Mama" reading I enjoy most is hearing women's stories. I really want to read women who like being a parent (even if that's not the case every moment of the day. trust me. I get that.). Finding Your Inner Mama is a collection of essays by women just like that - smart, funny, and thoughtful women who like being a Mama, but are realistic in their sharing of the challenges and struggles as well. There are many in this collection whose writing has inspired me greatly in the past - Ariel Gore, Myla and Jon Kabat - Zinn (whose book Everyday Blessings is my all-time favorite parenting book), Adrienne Rich, Andrea Buchanan, and Anne Roiphe, as well as many others that are newer to me. The diversity of not only the women, but also their writing styles and experiences, makes for a full, rich picture of motherhood. 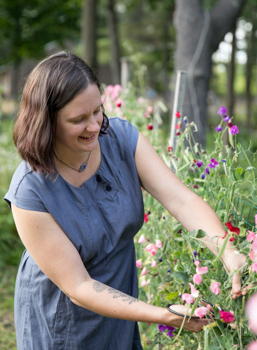 The circumstances of my own mothering may differ greatly from some of the writers, but the common thread of thoughtful mothering is truly inspiring and connecting. And I think honesty, inspiration and connection is something all of us can use a little more of as we find our way in this sometimes-seemingly-solo role of Mama.